Today might mark the end of National Nutrition Month, but this does not mean you can’t “Savor the Flavor of Eating Right” every month. We’ve discussed Spring seasonal produce and the power of herbs and spices. Keep an eye on our blog, Facebook, Twitter and our new Pinterest accounts so you can stay up to date on your healthy every day of the year. It’s that time of year for the plants and flowers to bloom. That means new produce is growing too! This is a great time of year to start including more salads and vegetables on the grill. 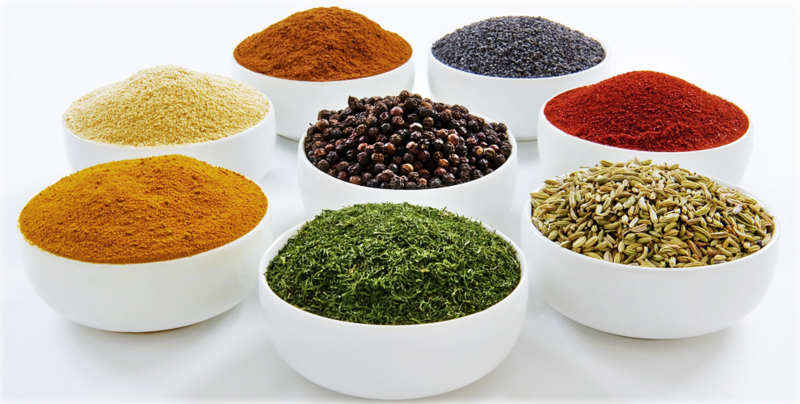 Try boosting the nutritional value and flavor of your vegetables with antioxidant rich seasonings such as oregano and ginger. Welcome to March! Spring is almost upon us, but did you know that is also National Nutrition Month? This celebration can be dated back to 1973. Click here to learn about the history of nutrition month and some past themes. This year’s theme is “Savor the Flavor of Eating Right” which the Academy of Nutrition and Dietetics states, encourages everyone to take time to enjoy food traditions and appreciate the pleasures, great flavors and social experiences food can add to our lives. Use this opportunity to keep you are your loved ones up to date on their health and nutrition. Maybe you can find a way to get involved and help spread the word at your school or workplace. Check out some great nutrition tip sheets that you could hang on your refrigerator or bulletin board to keep you mindful of good nutrition. To celebrate, we have launched our very own Pinterest account! Follow us and check our recipe boards to help you “Savor the Flavor of Eating Right” this month! Visit Family Food, LLC’s profile on Pinterest.